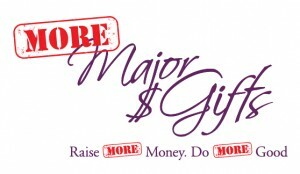 MORE Major Gifts is now being offered Live Online! You don’t have time to travel and want to save money on lodging and travel cost. AND…you want 12 CFRE Credits, too! So…. Ta Da Ta Da!!!! Attend our course from your home or office. All you need is a computer with internet connection. Raise MORE Money and Do MORE Good! Invest in YOU! Invest in JOY! QUESTIONS/HELP: For any questions, or special request, please contact Jen Davie, jendavieconsulting@gmail.com . For issues with registration, please contact KK Konicek, kk@marcyheim.com, 888-324-0442 toll-free message. So that you are ready for Day 1, a practice session via Zoom will go out to all participants to check your Zoom access including audio and interactivity. Click here to go back to the program page. Need assistance or have questions about registering? Contact Marcy at marcy@marcyheim.com. Refund Policy – Because this is a small exclusive event with Marcy, cancellations received less than 30 days prior to the event will not be refunded unless an alternate attendee can be found. Any cancellation is subject to a $50 processing fee. Refunds will be mailed to you via check within two weeks of the event.